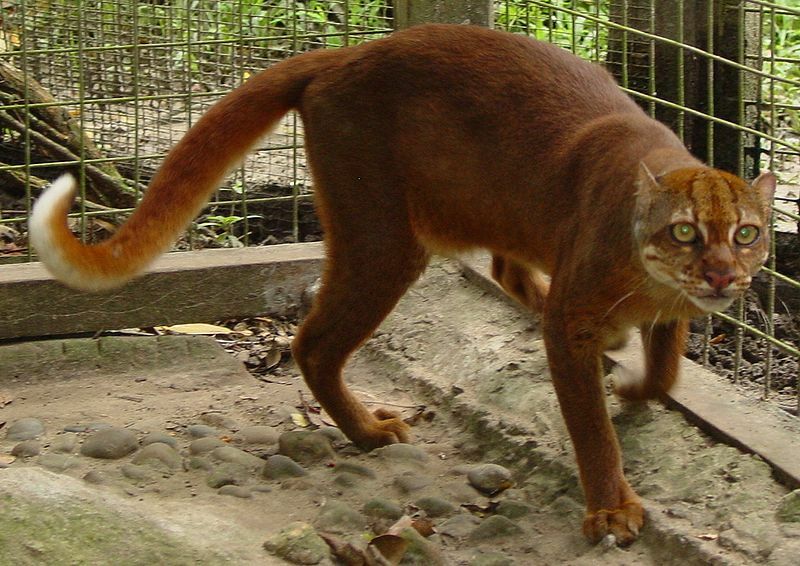 The ultra elusive, uber evasive, super rare Bornean Bay Cat had never been seen by a living human until a specimen was captured alive (above) in 1992. 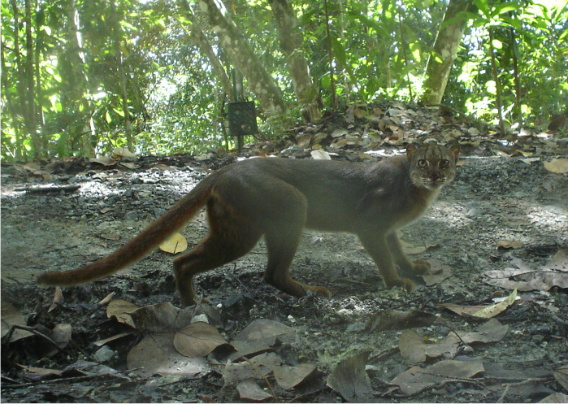 The nocturnal cat species lives only on the island of Borneo and due to rapidly increasing deforestation, a population of less than 2500 is estimated! Cat. At bay. In Borneo. I love your blog. Keep them coming!! Please give its head its former size back. any relation at all to the fossa in madagascar?